Camel rides along the dunes, sleeping under the stars in nomadic, Berber tents, and impressive, ancient palaces (kasbahs), are just a few of the images that evoke fantasies of a romantic adventure in the Sahara Desert of Morocco. 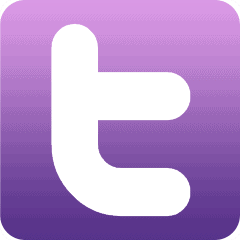 Most couple’s celebrate Valentine’s Day by going out for dinner or a movie. That’s nice. But what if you could go on the most romantic, unbelievable trip that could change your life? 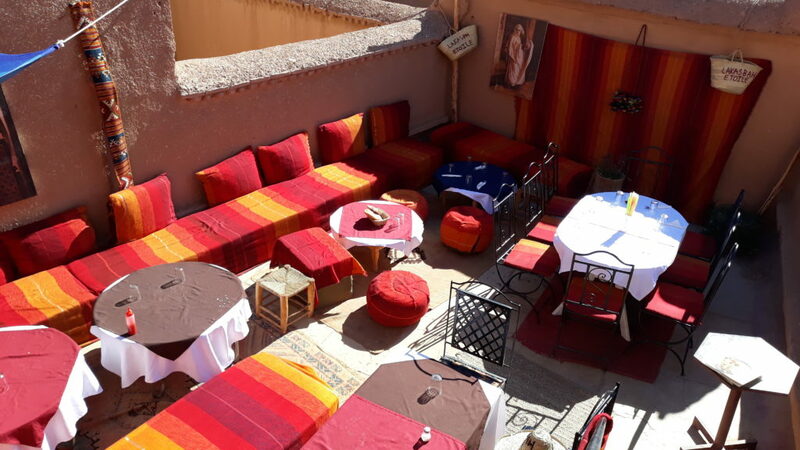 A luxurious, overnight trip to Zagora, a charming part of the Sahara Desert that is not only perfect for couples looking to add some spice and adventure to their lives, but it’s actually affordable. Zagora is a small, charming town in the Draa River Valley in the Drâa-Tafilalet region of southeastern Morocco. 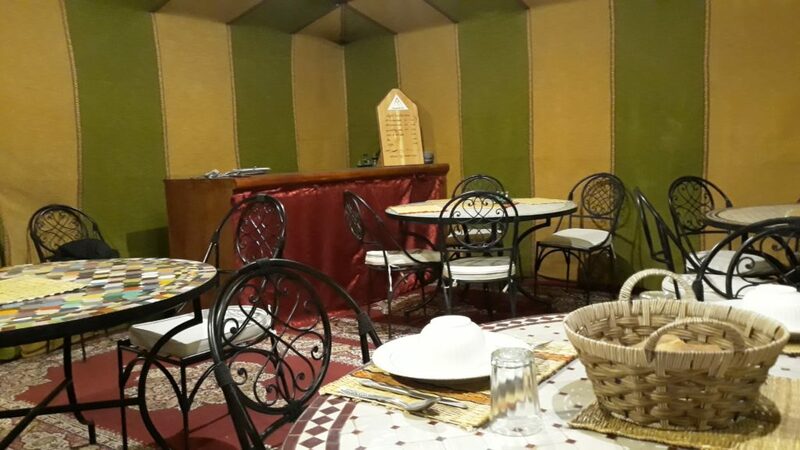 When you fantasize about a romantic, overnight tour in the Sahara Desert, the word affordable doesn’t usually come to mind. 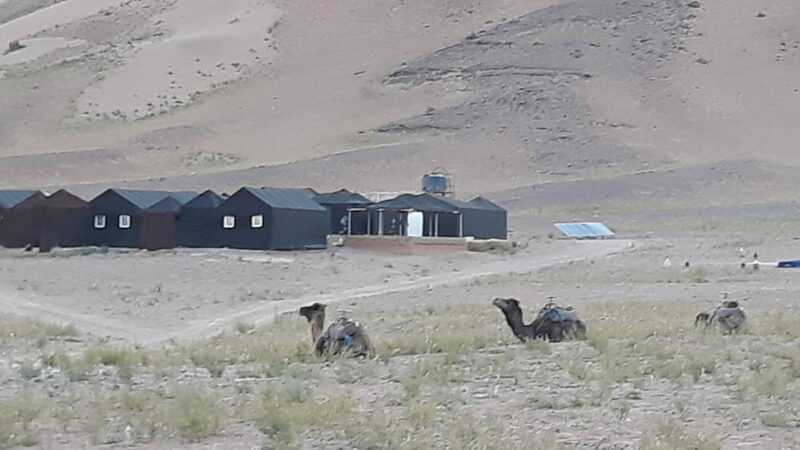 However, you might be very surprised to learn that you can go glamping and even sleep under the stars after an adventurous camel trek for much less than you might think. If you’ve ever dreamed of going to Morocco, now is the time to do it. 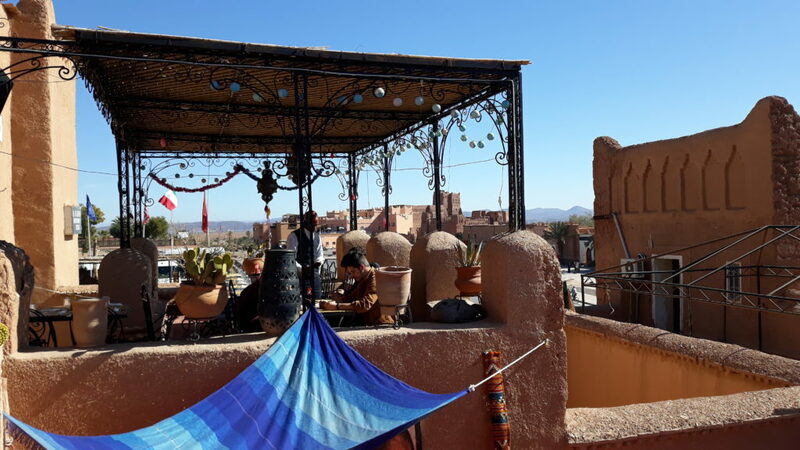 Low cost flights with a stopover in Paris are unbelievably cheap right now (try $300 round trip from NYC to Marrakech) and Zagora is simply a day away from the city for a mini-weekend getaway. 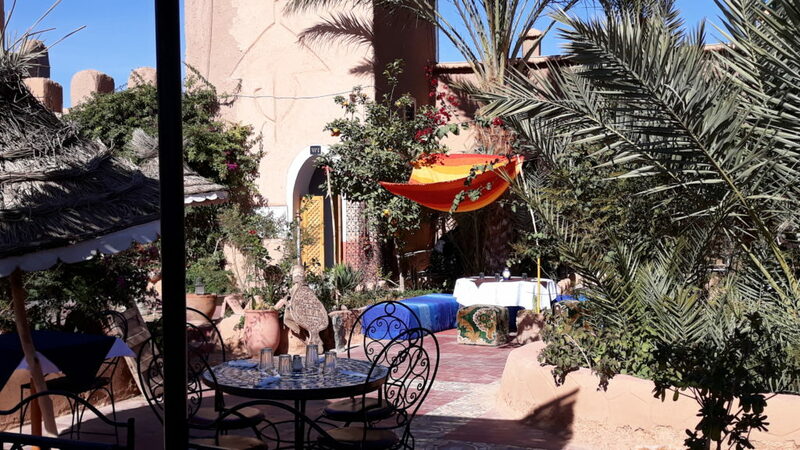 First, you’ll be picked up at your riad, hotel, or from the airport in either an air conditioned 4×4 Landcruiser or spacious minivan, depending on your budget. The drive from Marrakech is broken up by stops along the way at charming villages where you can taste local snacks or do a bit of shopping. Unlike many tours where drivers and guides are super pushy in order to get commissions, there’s no pressure to buy. But trust me, you’ll want to. 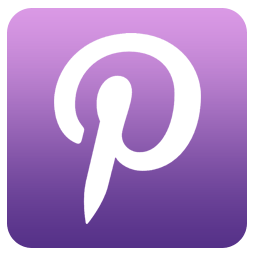 There are brilliantly colored scarves and jewelry and trinkets that are pretty inexpensive, but antique lovers will also have the opportunity to find some exquisite items. There are cute spots where you’ll stop to stretch or to take some fantastic Instagram shots with the gorgeous scenery in the background. Your journey will carry you through the Atlas mountains, where you’ll enjoy magnificent views of the villages, farms and countryside below. 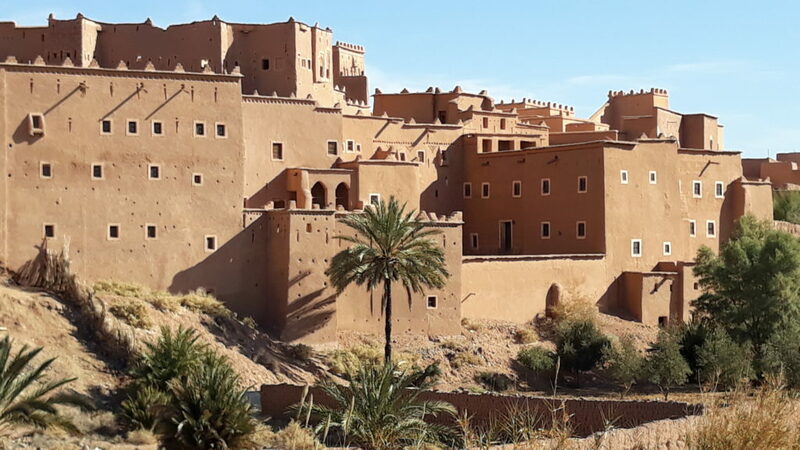 You’ll stop for a visit at the UNESCO World Heritage Site, the Kasbah of Ait Benhaddou, and later continue to Ouarzazate for lunch. 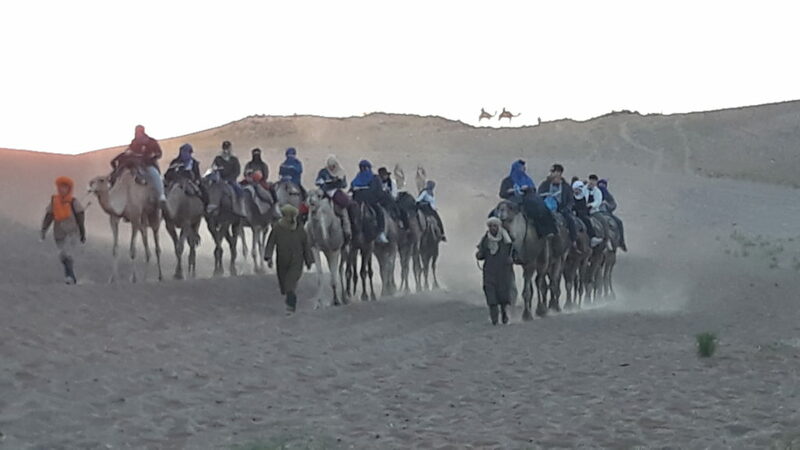 After lunch, we continue along the Drâa valley to reach your destination of Zagora where you’ll meet the camels who will carry you on a trek to the desert camp in the dunes of Nakhla. Zagora is known as the gate of the Sahara desert. 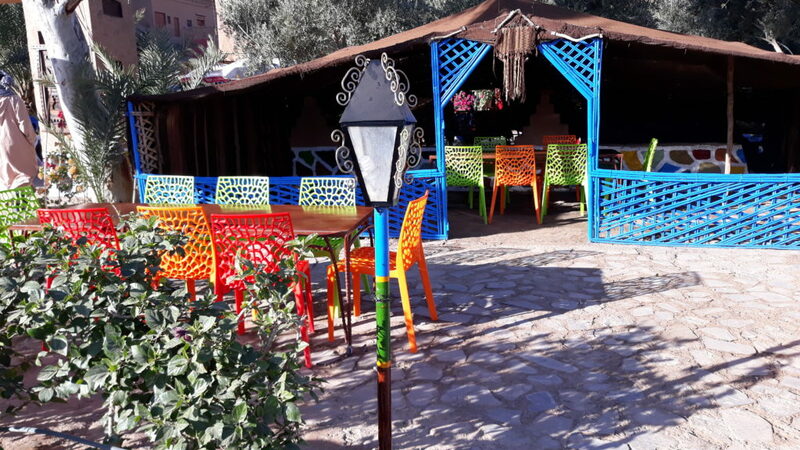 At the base of the Atlas Mountains and on the shore of the Draa Valley in South Eastern Morocco, Zagora is a highly popular tourist destination, partly because of the beauty of the land andit’s people, partly because it is the closest desert to Marrakech. The original name of the town was Draa until the 20th century was the town was given it’s current name. 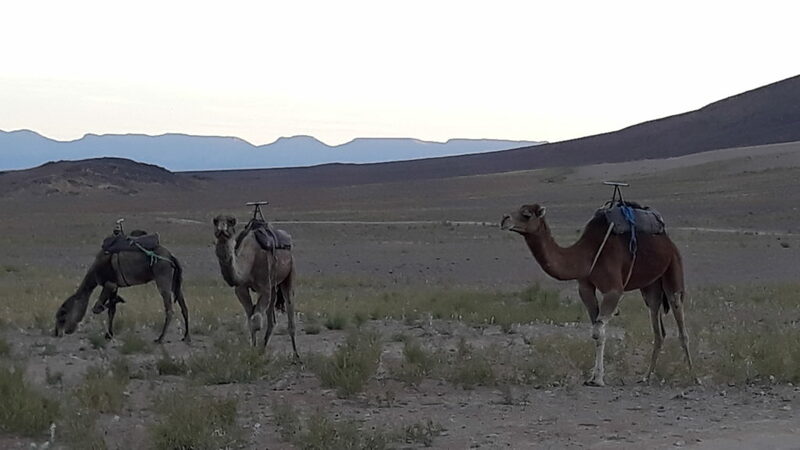 When you arrive in Zagora, you’ll have the most fun adventure going on a camel trek that will last less than an hour, but will get you to the camp just in time for a spectacular sunset. Surprisingly, Zagora is not the golden sand dune paradise you might expect, but it has more of a black, rocky landscape that has its own beauty. 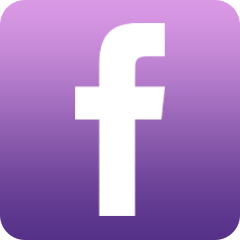 If you decide you also want to check out the more popular dunes you’ll see all over Instagram, you can extend your trip and continue on to the Merzouga or Erg Chegaga Deserts. They’re farther away, but if you’ve got extra time they are definitely a wondrous sight to see. You will love your accommodations at the bivouac, or traditional night camp. 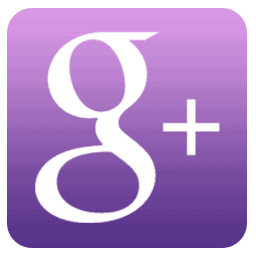 Multi colored carpets cover a vast amount of space, so you needn’t worry about tracking sand everywhere. 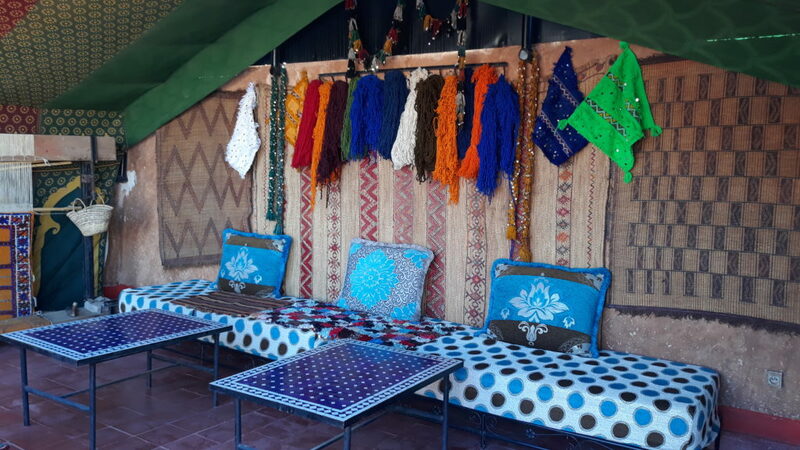 There are plenty of chairs, sofas and tables you can relax on, but each tent has it’s own private “veranda” at the entrance where you can lounge around on the cushions with your lover. 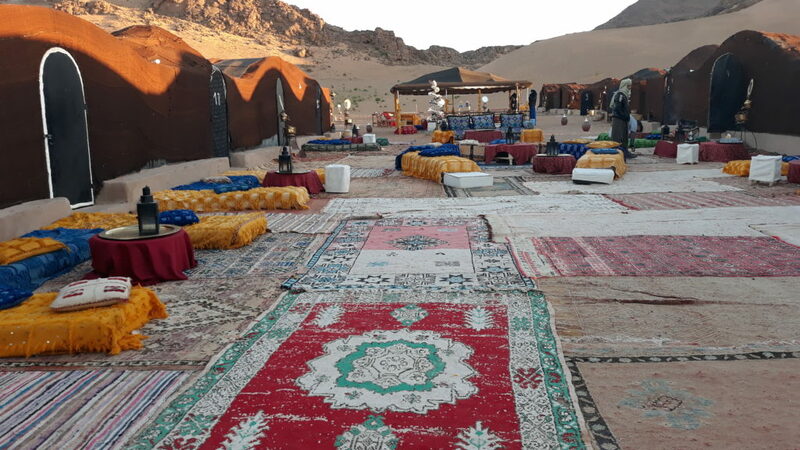 When you arrive at the camp you’ll be shown to your private tent, then feel free to join the group where you’ll be given a welcome Moroccan mint tea and cookies. 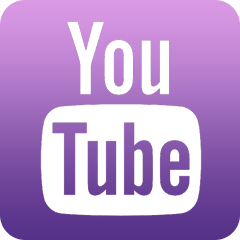 If you’re on a budget, you’ll share the shower facilities (separate bathrooms for men and women), but for a bit extra, you can splurge on a possible upgrades to a luxury camp with en suite bathrooms. 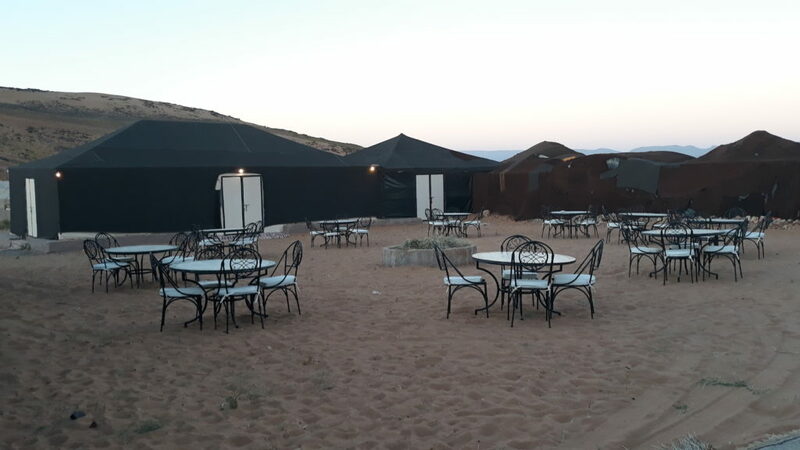 You’ll be able to get snacks and lunch along the way to Zagora, but be prepared for a delicious, traditional, Moroccan dinner (included in your tour) with others in the dining area inside an enormous Berber tent. 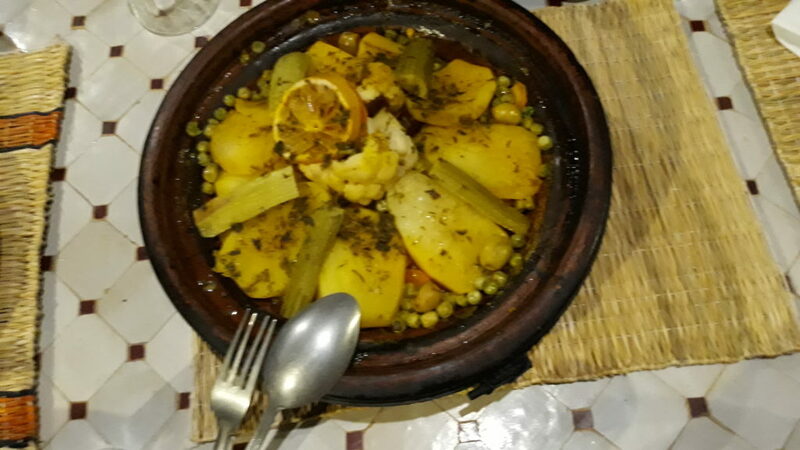 Traditional Berber meals are prepared by nomads who love sharing their special tagines and delicious dishes. If the weather is nice (and it almost always is) you can enjoy the views of the nearby mountains as you dine. outside. For those wishing for an exceptionally romantic experience, indulge in a more secluded candlelight dinner. 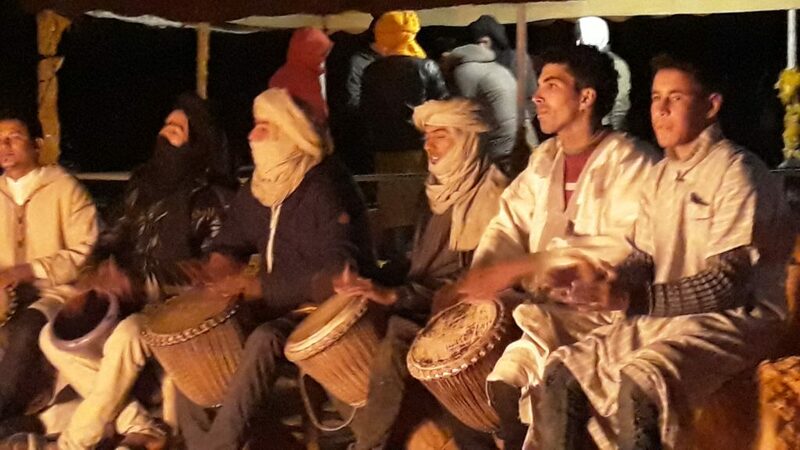 After dinner, everyone will gather around a fire and Berber musicians will play drums and sing traditional songs, and if you feel like it, you’re welcome to dance and join in. Sometimes the nomads will give drum lessons, so don’t be shy. You can silence your phone, go deep into the desert and search for fossils and meteorites, do yoga, dance, or just lie awake and meditate under the stars. Or, you can close the door to your private temporary home and make love to your fellow nomad all night long. If you’re with your partner, you’ll have a fantastic excuse to get really close and cuddle all night; the desert is cold. But sometimes there will be extra blankets if you need them, so just ask. No matter how cold the weather is when you’re there, consider sleeping outside of your tent on your veranda. 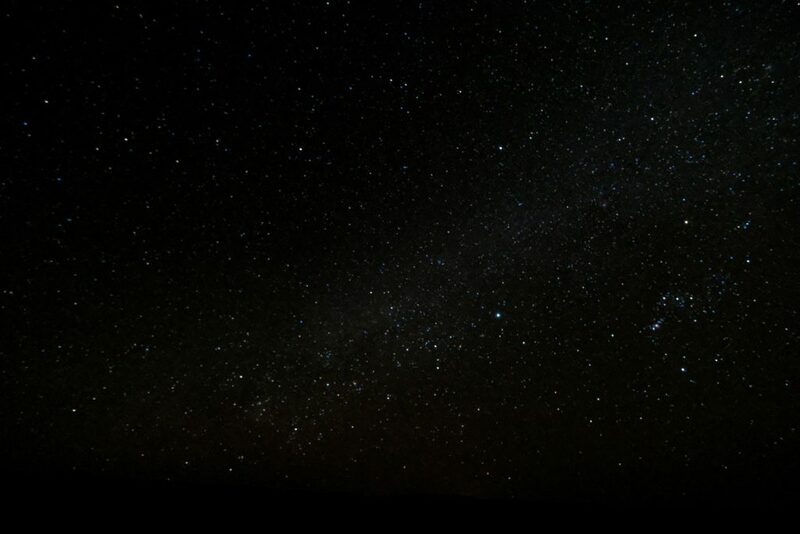 You’ll be blown away by the amount of stars visible in the desert sky. There’s nothing quite as romantic as staring up at the sky and trying to identify the stars. There are several night watchmen who walk around the camp all night to make sure you’re safe, even though it’s not really necessary. Very rarely have there been incidents in Morocco involving tourists other than pickpockets in the souks. But unlike the souks, you’ll find a peace and serenity here unlike anything you’ve ever experienced before. A huge spread will be ready when you wake up, but enjoy your breakfast early. 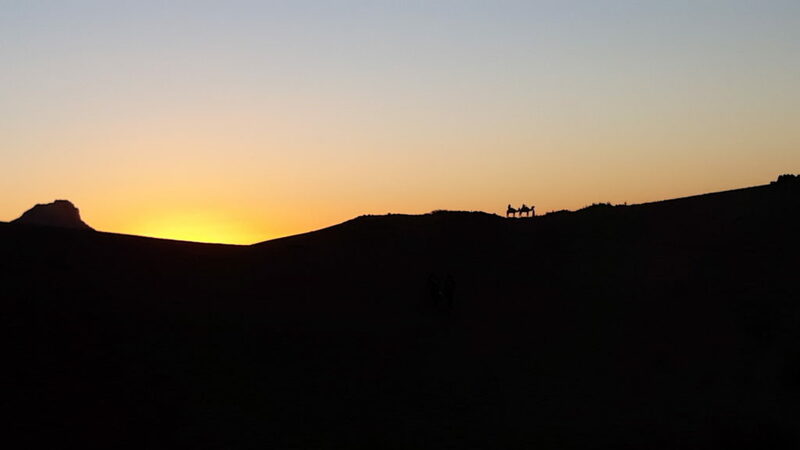 You won’t want to miss the incredible view of the sunrising behind the dunes and mountains behind the camp. On the trip back you’ll stop again for lunch, browsing at a carpet cooperative, some shopping if you like, and lunch at a cute restaurant with a rooftop terrace. 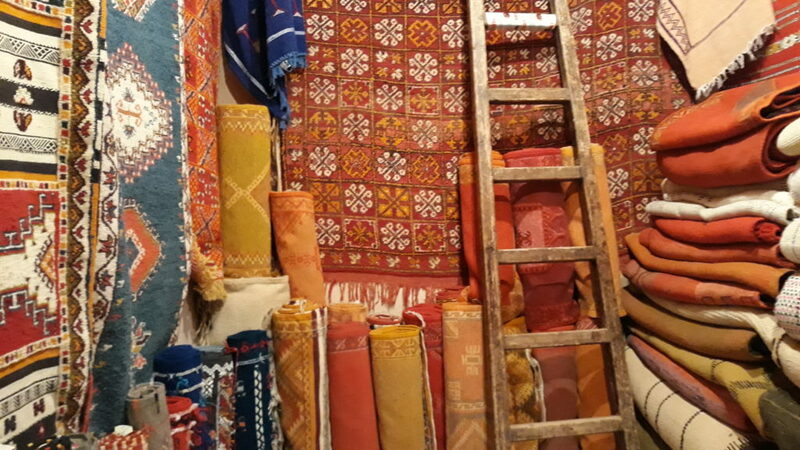 Be prepared to haggle hard for some exquisite Berber jewelry, carpets and other items. 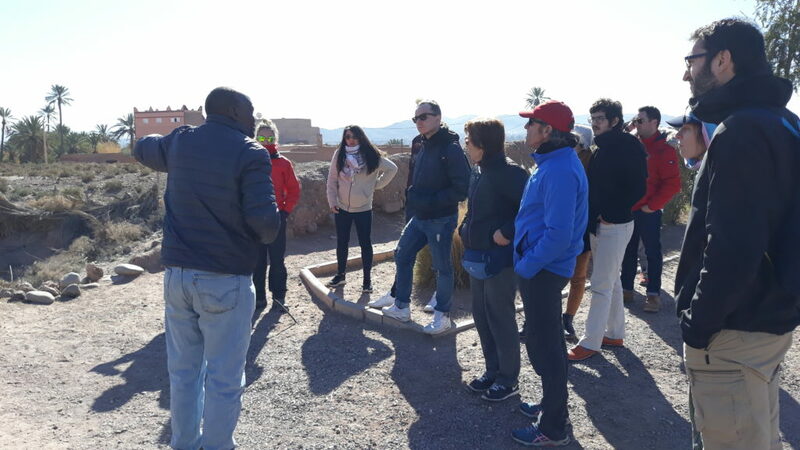 Your entire Zagora trip will only be two days, but ask about other types of day trips, tours and excursions with Morocco Daily Tours. 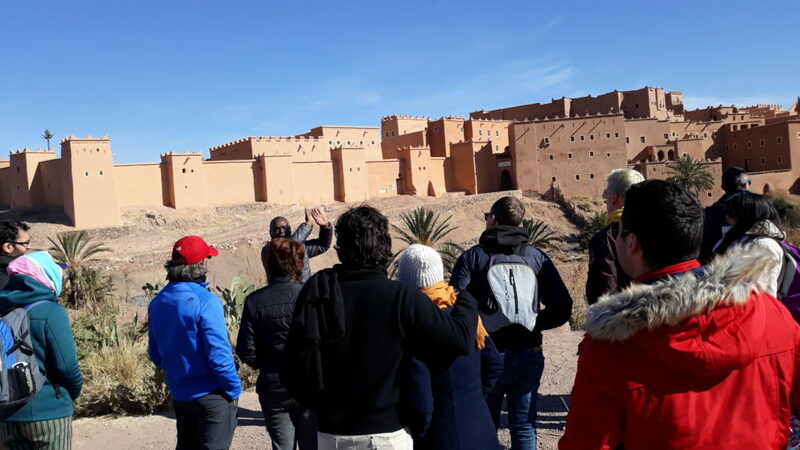 Their custom itineraries can take you to the beaches of Agadir, to the Sahara Desert, to the mosques and palaces and shopping hot spots in Marrakech. Tell them what your ideal vacation is, and they can make your dream trip come true. 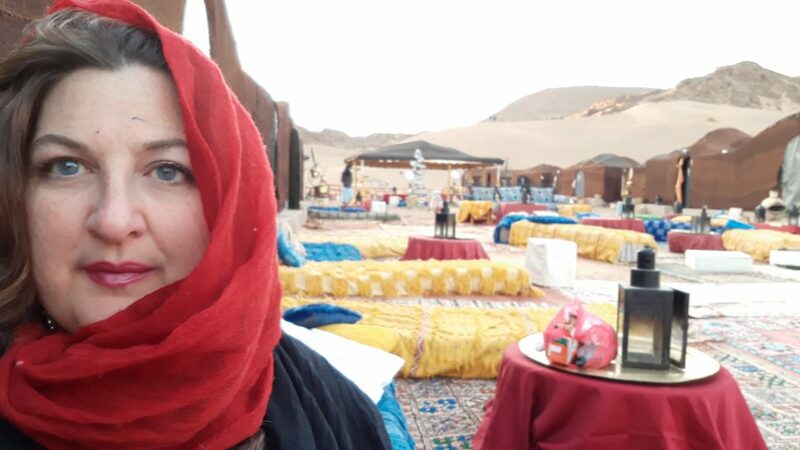 Said Hatouchi and the guides, drivers and camp staff are professionals who love Morocco, especially their community in the desert, and want to share their knowledge and expertise with their visitors. 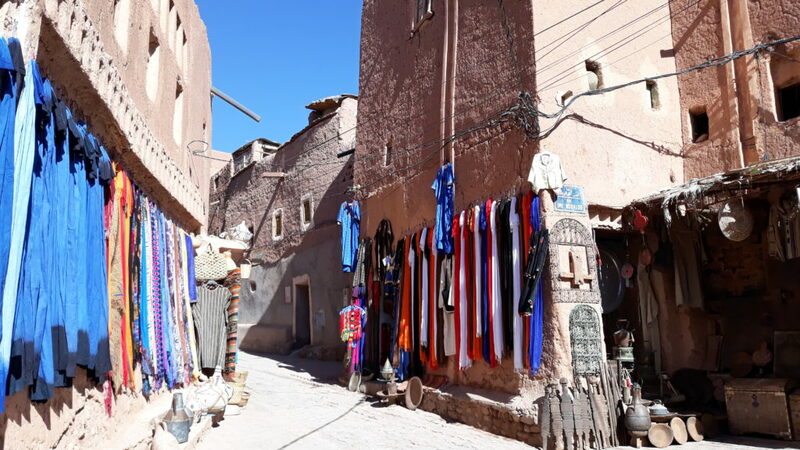 Discover this exotic, enchanting country through their eyes, and let them lead you into another world where they’ll share secrets and places only they can share with you, and you’ll fall as much in love with Morocco as they are. Their passion is genuine, and for them it is an honor to share their love affair with their land with you. 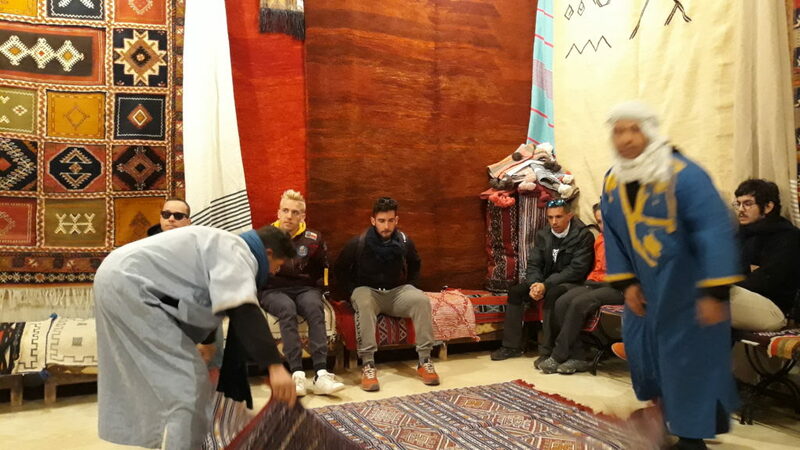 Morocco Daily Tours is an experienced, professional team consisting of locals with a profound knowledge of southern Morocco, It is their mission to share with you the most spectacular landscapes, history, culture and traditions of the nomadic Amazigh people of the desert in order to give you the most unforgettable, romantic experience of your life. *Please remember that your drivers, guides and camel owners work really hard to make sure you have the trip of a lifetime. Please tip them well. Many have families they’re supporting, and your gratuities are optional, but it means a lot to them. 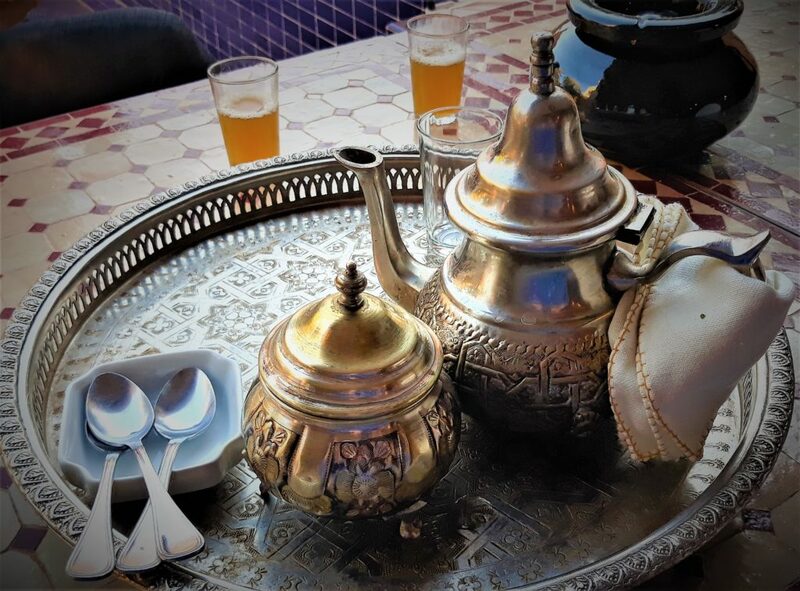 For more information on Morocco Daily Tours, click here.